Hi Everyone. My name is Maeve O'Loughlin and I have been a Senior Lecturer of Safety, Health and Environmental Sustainability at Middlesex University London since 2012. I am also one of a group of volunteers who works with the London Metropolitan branch of the Institute of Occupational Safety and Health (IOSH) who support health and safety practice. 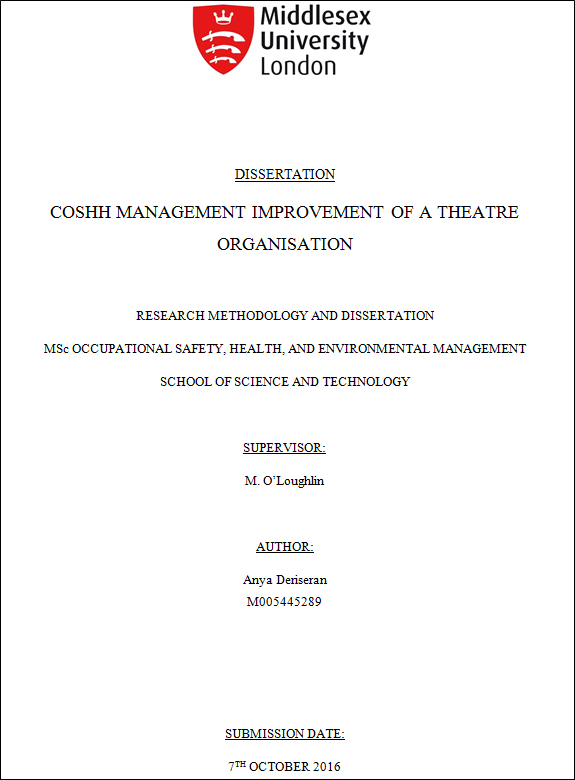 I help to link university students of safety, health and environmental management to companies so that students can carry out free academic research around their organisational health and safety challenges as part of their MSc dissertation work. This provides great employability potential for the students engaging with companies while also providing a cost-effective, academically rigorous way of improving business practice. This is what the PIPER Initiative is all about. The Partnership for Innovative Practitioner Engagement in Research (PIPER) Initiative has been running since 2014 and has increased student employability in industries of their choice. It has also improved safe and healthy work practices in businesses through the use of student-led research projects. The purpose of this crowdfunding campaign? With your help, this crowdfunding campaign aims to raise funds to help with the preparation and sharing of key health and safety lessons from PIPER research projects with the wider business community . We will achieve this by employing an MSc graduate to prepare easy-to-read and easy-to-apply research summaries taken from the success projects undertaken to date. In early 2014, I met with Nigel Burgess, the former Chair of the IOSH London Metropolitan Branch, and Shaun Lundy from the University of Greenwich to talk about ways we could all support the health and safety profession through our roles. I was concerned about student employability and their ability to get 'real world' experiences as part of their academic study. Work placements are great for students and we build them into our academic programmes but I felt that this allows universities to stand back a little without maximising a key element of our expertise which is supporting knowledge creation through research. I was also concerned that there were so many companies that may be facing challenges, financially or otherwise, that could do with cost effective support in health and safety grounded in academic research. Nigel had attended his son's graduation at Middlesex University in 2013 and on the same day he saw rows of graduating BSc and MSc students of safety, health and environment and felt compelled to support them through the local IOSH branch. IOSH already supported work placements but the reality of the branch at that time was that students rarely attended branch meetings until they had finished their studies. He really wanted to do something to help them develop their careers before they graduated in a meaningful way. So the question for us was - how could we join efforts to support student employability and cost effective health and safety practice in organisations while also maximising University and IOSH expertise? The outcome of our discussions led to the creation of the PIPER Initiative (Partnership for Innovative Practitioner Engagement in Research) in April 2014. The central idea was to identify areas of health and safety support required or challenges organisations faced so as to match interested MSc students to address these issues through their dissertation research. And this is what we did! A partnership strategy for engaging and communicating with organisations about PIPER through their London branch was agreed with IOSH. This specified the voluntary work I undertake to link student research work to the health and safety needs of organisations through facilitating free workshops, research scoping and running an annual competition for best student research project. After one initial engagement workshop, multiple IOSH branch communications, three research project scoping workshops between students and organisations, and two annual competitions for best research support project undertaken we think we have made a great effort to meet the aims of student employability and positively impacting health and safety practices. two years later and almost 20 projects have been completed!!! We surveyed students last year so we know we have a lot of happy graduates who have gained critical employability skills and jobs as a result of engaging with PIPER. We have also had great feedback from organisations who have benefited from having student-led research actively support, evaluate or benchmark what they are doing, or contribute to improving their safe systems of work. In November 2016, IOSH decided to run a wine reception and seminar event to celebrate the success of the initiative and provide the opportunity for the Annual Competition Winner 2016 for best PIPER project (Guilia Prencipe) to present her winning research project with Crossrail. Year on year, interest is growing in engaging with the initiative and supporting future practitioners in their development. This is where you come in!! We feel that we are missing an opportunity to share the results of research projects with both the wider safety community and as many organisations as possible. If we want to help health and safety practice evolve it is important that we get the evidence of what works out into the public domain. Some projects now written up as MSc student dissertations have shown some interesting and innovative results. This is really great but it also poses a challenge. The problem is that the results and supporting evidence gathered by our students is still in dissertation format so not user-friendly for companies. We want to address this through this crowdfunding opportunity! The plan is for us to appoint a former MSc graduate to work as a university researcher for a period of time to distill the results of PIPER project dissertations into 2-page research summaries so we can share lessons learned. We think that this will afford a graduate an employment opportunity at a reasonable wage (£15/hr - so above the London living wage) while also delivering on the preparation of easy-to-read lessons which we can then share with organisations through the IOSH London Metropolitan Branch website . If we meet the minimum fundraising target of £315 - £525 , this will fund a MSc graduate to work on this project for 3 - 5 days (£15/hr for up to 35hrs). We think that an approximate minimum of 3 - 5 really interesting PIPER research projects can be prepared as project summaries in this time. If we meet our maximum fundraising target of £2100 , this will fund a MSc graduate to complete project summaries for all existing PIPER research projects over the course of 4 weeks. If we EXCEED our maximum fundraising target of £2100 , we will hold these funds to support the preparation of project summaries by a MSc graduate next year as we have just kicked off the process of project scoping between organisations and MSc students for 2017. If we gain UNPRECEDENTED support above our fundraising target >£5000 , we will consider publishing hard copies of the PIPER Initiative project summaries to supply to organisations free of charge. All project oversight time undertaken by the universities and the IOSH London Metropolitan Branch volunteers will continue to be free. 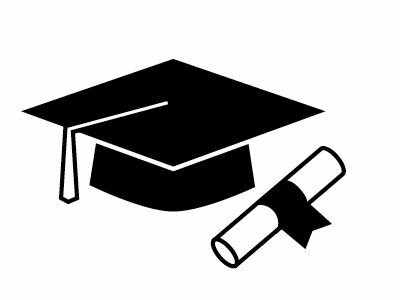 Progress will be reported on my Twitter @maevemdx with regard to funding and support, appointing a MSc graduate, starting the work and completing the work. The outcomes should speak for themselves as project summaries will be available to everyone through the IOSH London Metropolitan Branch website . So if you think this is a worthy cause, please do help us through donation if possible. Check out the rewards for doing so. If you think this is a good idea but you can't donate personally, please do spread the word to your network of contacts! We think this project really has value in supporting organisations even further which aligns with what PIPER is about. Please share this project with anyone you think might support us – on Twitter, Facebook, LinkedIn, by email, telephone or in person. By helping promote the project, we have a greater chance of making it a reality. Your support really matters. A final thank you to anyone who has taken the time to read what we are all about. Maybe you can support us or maybe you can't support us at this time but whatever the case may be, we hope you think this is an interesting project. We would also like you to know that PIPER is a completely free resource to all organisations. If you or your organisation has need of free health and safety support please don't hesitate to get in touch with us. Personal high five! We really appreciate your contribution. We couldn't do this without your help. Great! A personal and social high five! We’ll thank you and/or your company personally on social media (by Tweet and Linkedin) for being a supporter of the initiative. Thank you so much! Nice one! You will get a social high five on social media (by Tweet and Linkedin) PLUS if you would like to attend a PIPER seminar or IOSH London branch monthly event, this will get you on the attendance list. See you there! Thank you so much! You will get a social high five on social media (by Tweet and Linkedin) PLUS invite to a PIPER or IOSH London Branch Seminar PLUS you/your company will get a personal mention in a news article on social media about the PIPER Initiative. Thank you! You will get a social high five on social media (by Tweet and Linkedin) PLUS invite to a PIPER or IOSH London Branch Seminar PLUS you/your company will get a personal mention in a news article on social media about the PIPER Initiative.You/your organisation will also be publicised on 1 PIPER project research summary report as being a SPONSOR of the initiative. This is so generous, thank you! For this donation, you will receive all lower donation rewards PLUS you/your organisation will be advertised on the main IOSH London Metropolitan Web page of the PIPER initiative and any other PIPER communications (e.g. LinkedIn, Magazines) as being a main sponsor of the initiative for 2017. We owe you a debt of gratitude - thank you! For this donation, you will get all lower donation rewards PLUS in the event that a hard copy book of PIPER project summaries is published you/your company will be publicised and included. You will also be advertised on the IOSH London Branch web page for PIPER as being a lead sponsor of the initiative in addition to any other communications on social media or in print. Thank you sincerely!